The Villagio shopping mall offers a good mix of shops, restaurants and recreation. 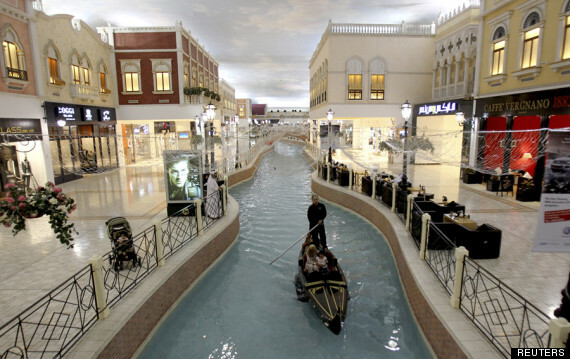 Based on a Venetian theme, the mall has a canal that visitors can navigate using a genuine Venetian Gondola. The mall also offers an indoor Olympic-sized skating rink and a 22,000-sqm theme park.